Fashionistas everywhere have tuned into Project Runway for years. But did you know that there’s also a Project Runway Brother sewing machine? There are actually a few Project Runway sewing machine models, but this one is one of our favorites. Let’s take a look at the 12 best things about this Brother sewing machine model, and why you should think about picking one up today. Project Runway took the television world by storm when it debuted in 2004. The fact that it’s still on the air speaks to the way this show has moved viewers across the world. This reality TV show has won a Peabody Award and has captivated viewers for 15 regular seasons and 5 in the all-star series. But how does a sewing machine relate? As the name suggests, Project Runway is all about fashion. Competitors begin in a field of 12 or more and are narrowed down to three or four contestants for a dramatic final challenge. To win, they have to design and create clothes for a runway show. Contestants are given challenges to test the limits of their creativity and see what they can come up with, without sacrificing the things that make their designs unique. 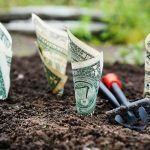 Time and budget constraints give an added level of challenge. Needless to say, the show has become a sort of cult classic among the fashion and creative crowds. Unlike many reality shows that feed off drama and interpersonal relationships, the soul of Project Runway is creativity. It’s only natural that a special-edition sewing machine should be made to celebrate this show. And, in the spirit of creativity, the Project Runway Brother sewing machine marries ease of use with a variety of capabilities to help you realize your own fashion dreams. Let’s take a look at just what makes this sewing machine so amazing. Computerized sewing machines are the way of the future. Most high-end home sewing machines today have computers built in. A small monitor makes controlling the machine easier. In this sewing machine model, the LCD display screen is back-lit and has touch screen capabilities, making it extra easy to use. You can even view the reference guide on the screen in 16 different languages! The computer is what makes the different motors in the machine work. Tensioning disks, needle bar, feed dog, and all components of the sewing machine are seamlessly (no pun intended) operated by the computer. With a maximum speed of 850 stitches per minute, this technology will help you get the job done fast, no matter what it is you’re looking to make. Because the computer has such delicate control over the whole operation, hundreds of different stitch types are possible. Traditional machines always produced variations of the zig-zag stitch. 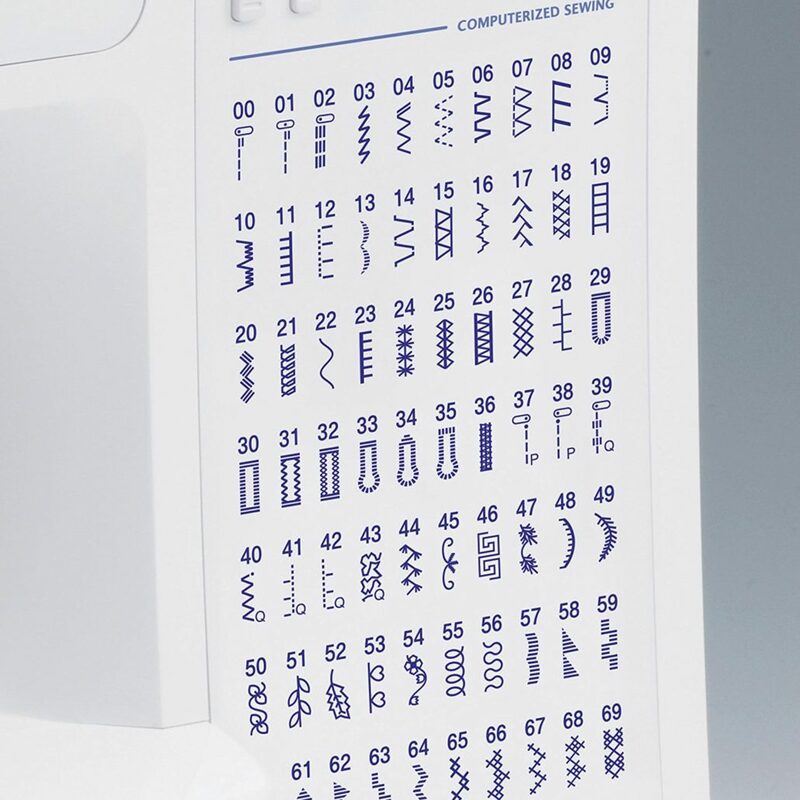 But with a computerized machine like this model, the computer can easily produce much more stitch patterns. The computer can control each motor at the perfect speed to get the needle bar moving in a given stitch pattern, even very intricate ones. With memory cartridges or disks that can be removed from the machine, the computer programs for those stitch patterns can be stored and changed anytime you like. This Brother sewing machine comes with 68 built-in sewing stitch patterns available that you can play with, as well as 98 stitch functions. Try hearts, leaves, and lace designs for starters. The stitches are on the front of the machine for reference, so you won’t have to search. You can even hook up your sewing machine to a PC and download stitch patterns from your computer the Internet if you want more. It’s iBroidery.com compatible and works with other websites as well, so you can expand your ranch of possibilities in no time. With this variety of options, the sky’s the limit on how creative you can get with this Brother sewing machine model. 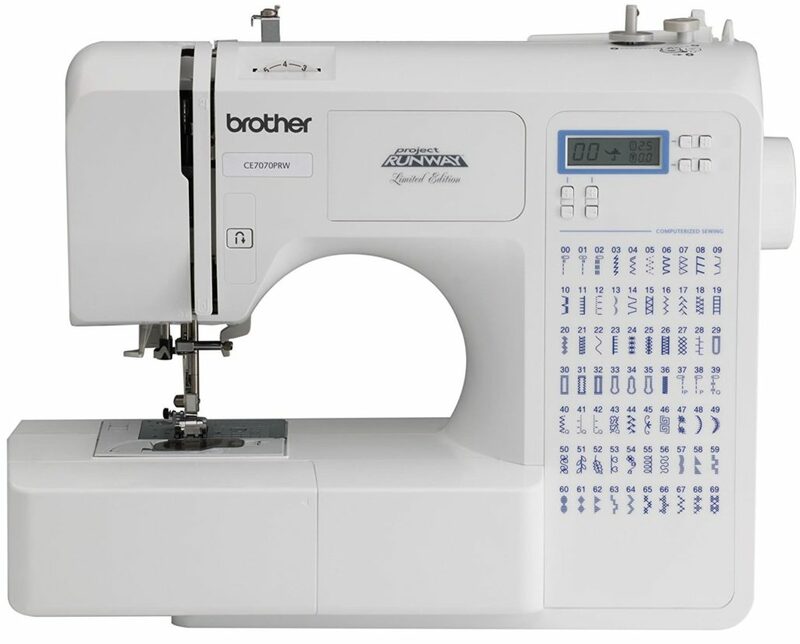 This Brother model is the only Project Runway sewing machine model to have an embroidery function. Fully equipped with 70 embroidery designs built in, it also has 5 different fonts for embroidery lettering and 120 frame pattern combinations. A state-of-the art needle threading system means no more struggling to thread needles by hand. And the simple, push-button thread cutter makes cutting threads a cinch. As many reviewers have noted, this computerized Brother sewing machine is incredibly easy to use, even for beginners. 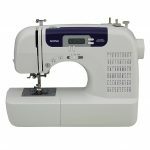 Although it’s wide capabilities make it a great choice for someone with lots of experience sewing, it’s also easy for your friends and family members to hop on and have fun with this machine. A detailed user’s guide, with instructions in both English and Spanish, makes getting started easy. Intuitive, easy-to-use machine options mean there’s no guesswork when you’re trying to change settings. 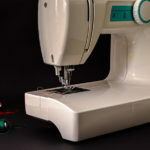 If you are looking to start your first sewing project and intimidated by the machines on the market, give this one a try. If you think you’ll be sharing the machine with budding fashion designers, this Brother sewing machine is a great investment. Or maybe you’re trying to think of the perfect gift for a Project Runway fan who dreams of making their own clothes. You can’t go wrong with this model, which is straightforward to use yet puts no limits on what you can create. An attractive carrying case with a handle makes this machine easy to transport in style. The bag features the Project Runway logo and a stylish pattern. It rolls, making it simple to take this bag with you on any trip. The included machine cover helps ensure that your machine will be protected no matter where you go. 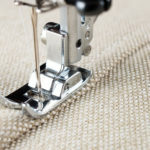 There are so many things sewing machines can do, and making buttonholes can be among the most challenging tasks. Fortunately, this model is great for making buttonholes. An automatic one-step buttonholer makes it simple to make as many buttonholes as you need. Choose from seven different autosized buttonhole styles. Dress with buttons all the way down the back? No problem! If you’ve never tried a one-step buttonholer before, it’s simple. Just attach the buttonhole presser foot (more on the different foots available below! ), and change the size as needed. With this feature, it takes less than a minute to make each buttonhole. 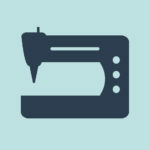 If you don’t have the fashion design studio of your dreams yet, size probably matters when it comes to sewing machines. The days of needing a big, bulky machine to get everything done are over. Try this compact option to save space while creating everything you want to. The small size won’t get in the way of big projects: there is a wide table for quilting and big embroidery tasks or any large projects you have in mind. For those big projects, you can even try the extra-wide 7mm decorative stitch for added style. Inside this compact machine, you’ll find plenty of storage space for all your sewing accessories. A free arm allows you to work on sleeves or cuffs more easily. It also comes with spare parts in case something stops working. So don’t let the size fool you – this model still have everything you need. In addition to the LED-lit touch screen, this machine also has an LED work area with bright lighting. A dimly-lit work area will never again hold up your sewing projects. No need to worry about getting the fabric or thread color slightly wrong: with this LED capability, you’ll see everything you need to. This design comes with a number of different feet for your sewing projects. From monogramming to blind stitch to a zipper foot, you’ll be able to get it all done. Of course, it’s also compatible with multiple other feet that you can buy. But the set of seven that this Brother sewing machine comes with makes it easy to get started. Many computerized sewing machines are notorious for being costly. However, this machine is a steal at less than $170, without being a challenge to use or only having limited capabilities. 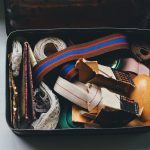 You don’t need to buy all new sewing kit accessories when this machine has all the basics already. An accessory pouch comes with a needle set. You also get four bobbins, an extra spool pin, a seam ripper, and other basic implements. Even better, a screwdriver, power cord, and wide work table ensure your work won’t be interrupted by practical concerns. 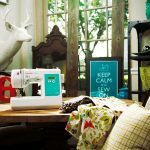 There’s no need to spend lots of money on a fancy-sounding sewing machine when this option has so much ability and so much style. Most of these features are typically seen on expensive machines, making this one an absolute steal. 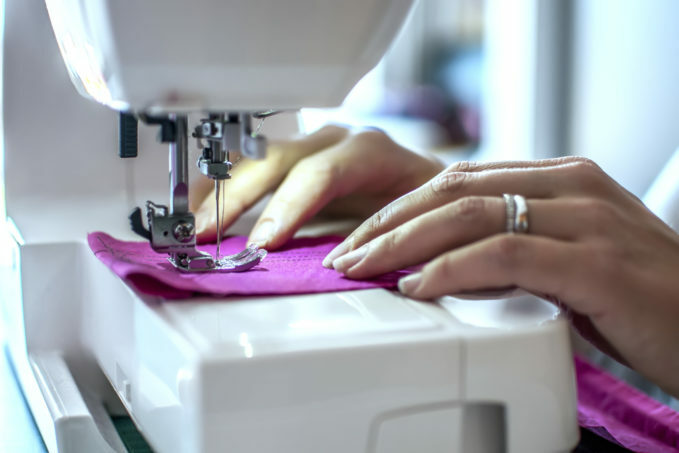 Whether you’re a Project Runway fan, a budding fashion designer, a sewing entrepreneur, or a total beginner, this is the machine for you. It’s rare to find so much capability and so many accessories in one machine, much less one that’s so affordable. In short, we love this Project Runway Brother sewing machine. Give it a try today and find out why for yourself.